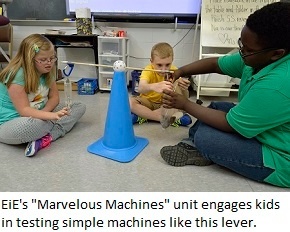 Five Fast EiE Teacher Tips for Engineering "Marvelous Machines"
If you’re teaching “Marvelous Machines: Making Work Easier," EiE's industrial engineering unit, our collaborators at the Science Museum of Minnesota (SMM) have some tips for teaching Lesson 4 (“Improving a Factory Subsystem"). The lesson calls for kids to use what they’ve learned about simple machines in science class to design a model “loading dock” that helps a potato chip factory run more smoothly. Try these five fast tips to save time, reduce classroom chaos, and most importantly, enhance your students’ learning! 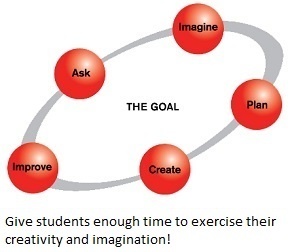 Take time to IMAGINE: Lesson 4, part 1 engages students in the IMAGINE step of the Engineering Design Process as they design and build a system for lifting potatoes onto a factory belt. Schedule this activity at the end of the day . . . and give extra time the next day for brainstorming and imagining. This approach reduces the pressure on students to roll with the very first idea they think of. You’ll see a greater variety of more imaginative designs. Make testing part of the PLAN: After students IMAGINE their design, the next step is to get their creative ideas down on paper as they PLAN their design. At this stage, it’s useful to have a couple of test stations already set up, so teams can try out their rough-draft designs before the “official” testing step. Share data to IMPROVE: Lesson 4, part 2 calls for each group of students to test the loading dock system they designed. Rather than having each team conduct their tests independently, let the whole class observe ALL of the loading dock tests, and chart these results. Your students will be able to use these observations to inform the IMPROVE step. Remember: It’s not a contest! Students may want to treat the tests as a competition. Remind them that engineers collaborate! The goal is to improve the team’s score, not to compete against other teams. Besides, each team has been assigned a different simple machine (inclined plane, single pulley, double pulley, and so on), so each team faces different constraints. Read more about competition and the engineering classroom. 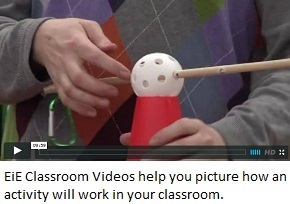 Check out the EiE Classroom Videos: EiE’s Classroom Videos show you what each lesson in an EiE unit looks like in a real classroom. 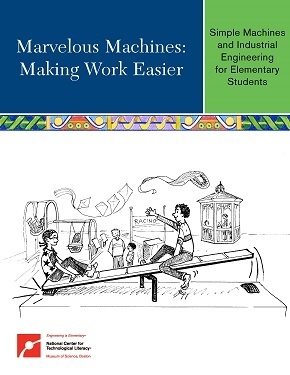 SMM staff say they find the videos for Lesson 4 of Marvelous Machines particularly helpful! You'll see students who have come up with quite a variety of designs for their “Loading Dock” subsystems, some of which incorporate unconventional materials (for example, tape, or a stack of books). While you’re looking around the SMM site, bookmark the EiE Teacher Tips page, because more tips for other EiE units are on the way! If you have questions or suggestions for SMM, you can write to them at eie@smm.org. Do you have an EiE teaching tip? Share it!